Wisdom stories from the world’s traditions adapted for children, with fun music and sound effects, to teach us to live together in peace. 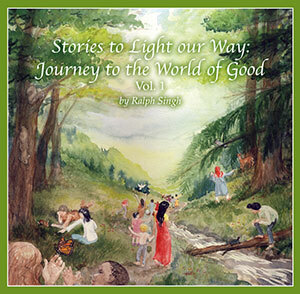 This professionally produced audio CD contains 11 stories specially written or adapted for children by Ralph Singh. Told from the perspective of a child or an animal, each story teaches a particular value or reinforces a particular character trait, and encourages spiritual growth. Ideal for both families and educators, and use in public forums. by sharing the stories which nurture the good in all of us!